I made this a couple of weeks ago and Nate and I both really like it! 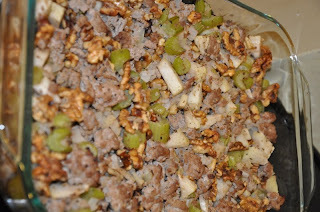 This stuffing probably isn't something I would serve to guests but is definitely a great middle of the week meal that is healthy and taste amazing! 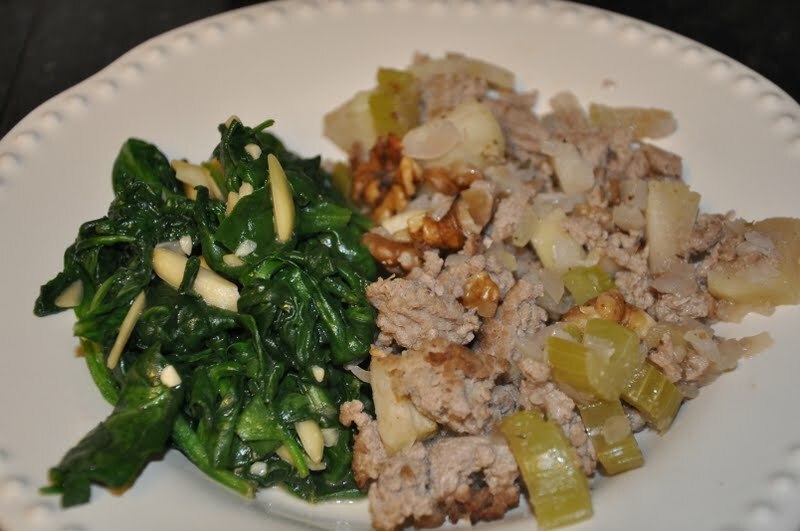 Serve with a salad or spinach and you have a lovely meal! cooking for another 2 minutes. Add the fresh herbs or poultry mix, minced garlic, walnuts and season with salt and pepper. Mix well. The meat should still be somewhat pink, it’ll finish cooking in the oven. 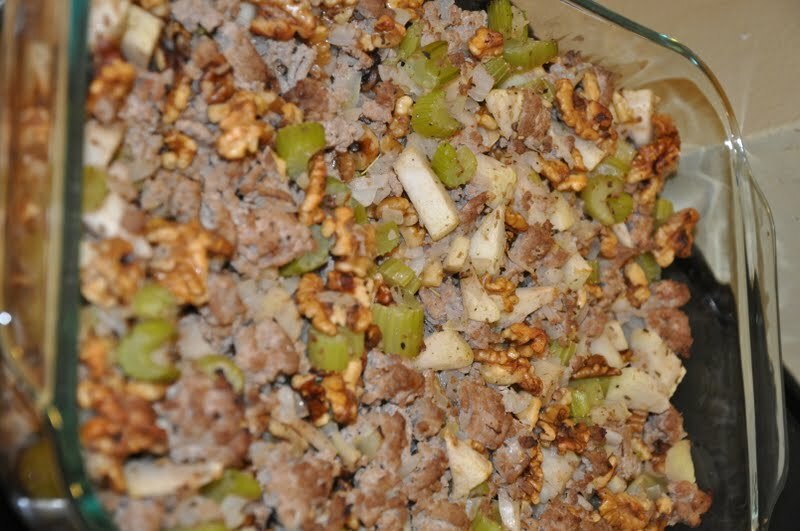 Place the mixture in a baking dish and bake uncovered for about 30 minutes in the preheated oven. im so making this next week for dinner one night! thanks friend! This looks great! I had to read the recipe 3 times to see that there was no bread!